Hey guys, welcome back to season 6 episode 3. I’m so excited to have Bobbie back on the show. We talked shop quite a bit in the beginning. I usually cut those stuff out but I kept a little bit this time because I think there are a lot of nuggets of wisdom in there, which is usual when you have an interview with Bobbie. 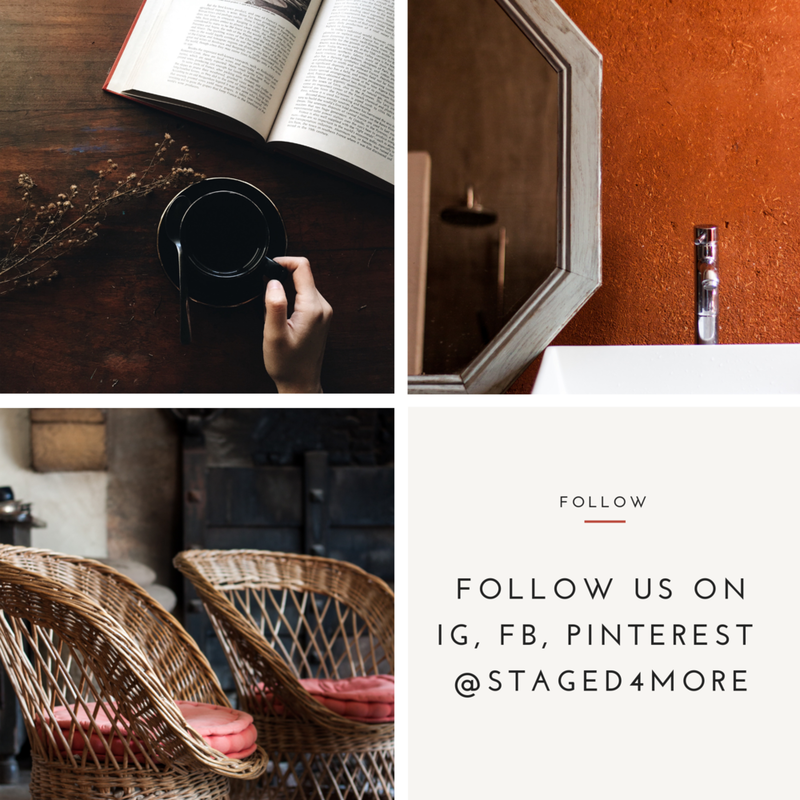 I think it’s beneficial for homeowners to hear some of these behind the scenes stuff and it’s especially helpful for those new home stagers in our audience. Bobbie is just a force in our industry. After 13 years and over 5,400 home stagings, Bobbie McGrath has become a sought-after speaker and trainer. She is currently training Australian realtors on how best to present staging to their listing clients as a powerful and effective marketing tool. She created the North Carolina Board of Realtors approved, “Setting the Stage…” as a continuing education elective for Realtors Her communication style, choice of words and “tasting” of color makes her sessions memorable! She will soon release the details of her new coaching program designed especially for new home stagers and those looking to grow their business with a positive and empowering point of view. And as you know, our 6-Figure Floor Plan course is now pre-selling! If you buy the course now, you will also get 3 one-on-one sessions with me, which is valued at $825. You also get $400 off the course, so that’s a total saving of $1,225 to you. That’s only available during the pre-sale. Once I sell out the limited spots, the price will go up. We are now doing a PRESALE for our 6-Figure Floor Plan course. I developed this course to be a complete course to build a profitable home staging business. 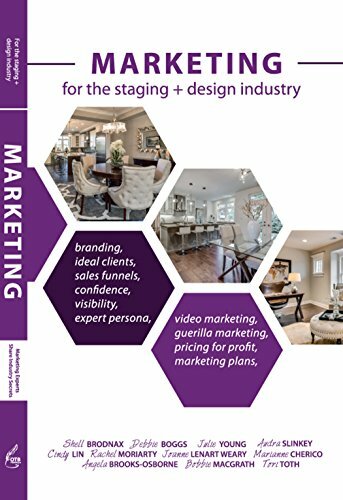 I was tired of seeing new home stagers left high and dry by these other courses that are really expensive and still not prepare the students for real life staging business problems. Just because a stager had showed up at your house to do a consultation, that doesn’t mean your house is staged. You still have to do the work. If you enjoy the show, please leave a review & rating on iTunes! Every rating and review help someone finds our show, helps us grow our show and get more awesome guests. So that’s it for today’s show. Happy staging! Bobbie McGrath is an award winning home stager, trainer, speaker and best selling author of the book, “home staging the power that sells real estate”. The only award winning home stager specializing in providing professional occupied home staging services throughout the Raleigh/Durham/Chapel Hill area Bobbie was voted by her international peers as one of the Top Ten Occupied Home Stagers in America in both 2015 and 2016. Bobbie’s focus on providing practical and cost effective home staging recommendations has earned her the reputation as the “go-to” Stager in her area. After 13 years and over 5,400 home stagings, Bobbie McGrath has become a sought after speaker and trainer. She is currently training Australian realtors on how best to present staging to their listing clients as a powerful and effective marketing tool. She created the North Carolina Board of Realtors approved, “Setting the Stage…” as a continuing education elective for Realtors Her communication style, choice of words and “tasting” of color makes her sessions memorable! She will soon release the details of her new coaching program designed especially for new home stagers and those looking to grow their business with a positive and empowering point of view. Whether meeting with home sellers, speaking to organizations or training realtors and fellow stagers, Bobbie’s goal is to always leave you with a positive and empowering message!